VANCOUVER – Donovan Tildesley, one of Canada’s most successful Paralympic athletes, has announced his retirement from competitive Para-swimming. The 29-year-old Vancouver resident competed at four Paralympic Games (2000 in Sydney, 2004 in Athens, 2008 in Beijing and 2012 in London). He earned five Paralympic medals in the swimming events for blind swimmers. He was also Canada’s flag bearer in Beijing. His big international highlight was five gold medals and a silver at the 2002 IPC (International Paralympic Committee) Swimming World Championships. Tildesley capped his career last summer with a bronze medal in the 100-m backstroke at the worlds in Montreal, overcoming a serious knee injury. Earlier this year he had qualified for the 2014 Para Pan Pacific Championships, making the decision to retire tough. “I’ve been thinking about it since the 2012 Paralympics,” said Tildesley, also a Commonwealth Games team member in 2006. 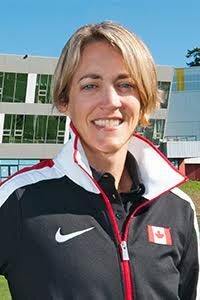 Tildesley retires as the world record holder in the 800-m freestyle, 1500-m freestyle and 200-m butterfly in the Olympic-size pool and the 200-m freestyle in the short-course (25-m) pool. Canada’s National Para-swimming Coach Craig McCord lauded Tildesley’s career. Born with a condition known as Leiber’s Amaurosis, Tildesley started racing in 1993. His father, Dr. Hugh Tildesley, a former competitive swimmer, coached him with assistance from his uncle Murray Tildesley, a former national record holder. Derrick Schoof, Tom Johnson and Kevin Johns also played important roles as coaches over the years. Tildesley hopes his successful career will inspire other blind Canadians to pursue their dreams. Tildesley plans to pursue his career as an insurance broker and public speaker as well as stay involved in Para-swimming and the Paralympic movement. But he knows it will be hard to match the high of athletic success. “I’ll miss that amazing adrenaline feeling at the end of a race,’’ he said. ‘’When I feel I have done my absolute best and I’m congratulated by my coach and teammates, whether or not I won a medal.